If your home, vehicle, or other personal property is damaged or destroyed by a sudden, unexpected casualty, an itemized tax deduction may help ease the financial burden. 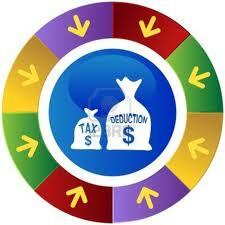 In most cases, you claim a casualty loss in the taxable year the calamity strikes. However, if you’re in a presidentially declared disaster area, you have the option of amending your prior year return, thereby getting tax relief sooner. Either way, to receive the maximum benefit you’ll need to calculate the amount of your loss. Here’s how. 1. File an insurance claim. If your property is insured, file a timely claim. Otherwise, you’ll only be able to take a deduction for the part of the loss that isn’t covered by insurance. 3. Establish basis. Generally, your home’s adjusted basis is what you paid for it, plus improvements. If your records were lost in the casualty, recreate them using reasonable estimates or the best information you have. The aftermath of a casualty is often a stressful time. We’re here to help you resolve the tax issues. Please give us a call.